Bahubali, A King of Bodhan? Poet Pampa( 941CE), poet-laureate in the court of Arikesari II, King of the Chalukyas of Vemulavada or Lembulapataka, feudatory of the Rashtrakutas of Manyakheta, has referred to Bodhan. It was the capital of the Vemulavada Chalukyas. Pampa has described that Ekachakra has four names as Vasumati, Padmanagara, Ekachakra, and Bahudhanyarespectively in the four Yugas.An attempt is made to derive Bodhan from Bahudhanya and equate it with Paudhana( pura). 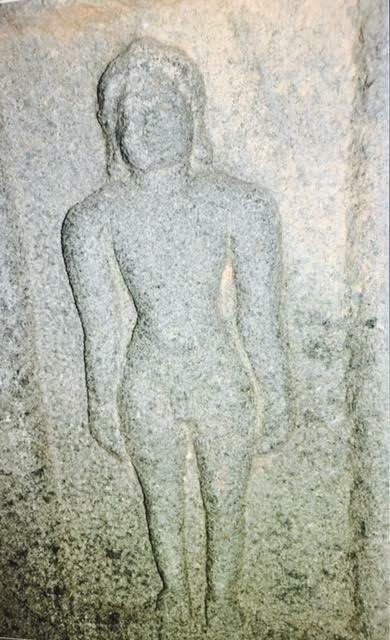 Since the capital of BAhubali, son Rishabhanatha, the first Tirthankara, was Paudhana, according to Digambara tradition, some have identfied Bodhana or Paudhana in Andhra with the capital of Bahubali.The place name Paudhana as a capital is mentioned in the Prakrit and Sanskrit stanzas of the sixth century CE.Albeit, Bodhan in Andhradesa flourished as an important metropole in the medieval eon.